Amy, Elisabetta, and Samantha - thank you for sharing your stories, your words, and your joy with all of us. This month’s episode reminded me that no matter what obstacles, roadblocks, and difficulties come our way, we always have the ability to push past them to create a life that aligns with our passions, purpose, and joy. Of course there will always be ups and downs, but it’s all part of the journey. I want to share a little bit about the stories that are featured in this month’s episode, and I encourage you to check these wonderful women out after you listen to this week’s new episode. Amy Rushworth is a certified wellness coach, life coach & the UK’s leading confidence expert. Her mission is to help women ditch the self-doubt and self-sabotage to start living the unforgettable life they’re dreaming about - where they’re confident, free from comparison, and wildly happy. It was only four years ago that Amy was struggling with her mental health, relationships, finances, and unhealthy habits. She felt emotionally and physically stuck and overwhelmed. After a tough year, coupled with a bad breakup, she found herself at a crossroads questioning where she was heading in her life. She was struggling with her mental health, and it was the wake up call that she needed to seek help. Amy’s words on what it meant to feel like a passenger in her own life, to come to terms with her unhealthy habits, and consciously choose to turn her life around will remind you that there is so much strength and power in seeking help when you need it. Her reflections on the heart-to-heart she had with herself, and this sense of knowing that she needed to align her actions with her values and the woman that she really wanted to become will remind you to take that time for reflection, observation, and action too. Ultimately Amy decided to invest in her first life coach, and this one decision radically altered the course of her life forever. While it felt like a huge leap into the unknown, it was the leap of faith that put her on the path to a life that was beyond any of her wildest dreams. Amy began to create a vision for her life, and it was from that decision that her health turned around completely. Her reflections on her decision to leave perfectionism behind, and the impact her decision to allow herself to be vulnerable has had on her life will remind you that there is so much power in allowing ourselves to be seen and heard. Through authentically sharing who she is, and where she’s going, Amy has connected herself to the people, places, and things that she always wanted. Today, Amy’s story, business, and life is completely based on her desire to serve the highest good of all. She’s launched a wellness business, met and married her soulmate, and is now living the happy and healthy life she always wanted. Elisabetta Franzoso is a life & wellness coach, counselor, trainer, speaker and social activist on a mission to inspire and motivate individuals to re-engage with their authentic inner selves. 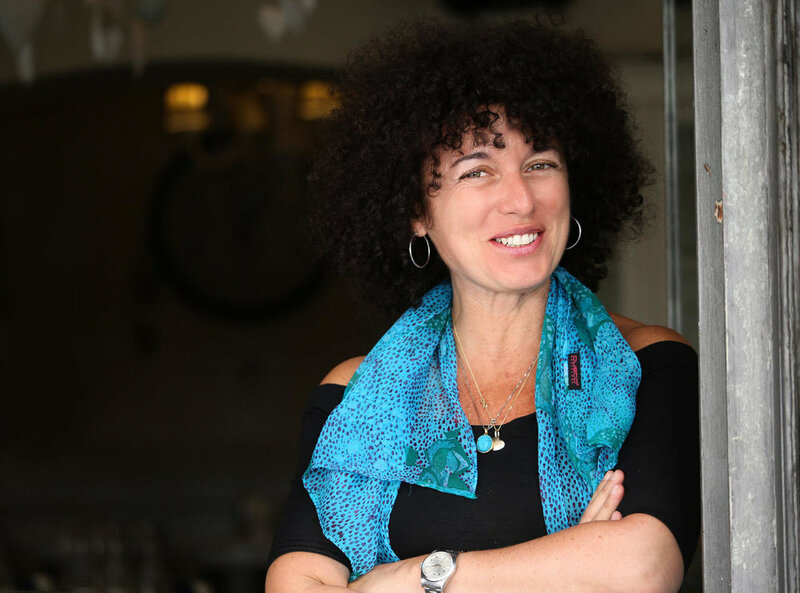 Elisabetta’s global work as a coach and trainer brings her joy, and her journey to teaching others how to communicate better first began with her. As a child Elisabetta suffered abuse and neglect, and it’s these experiences that inspired her and set her on the path of being an activist and life coach. In this week’s new episode Elisabetta speaks openly and frankly about her relationship with her daughter Stella, and how she found herself repeating the cycle of physical and emotional abuse she encountered as a child. Her journey seeking help and changing her pattern of behavior inspired her first book, “Stella’s Mum Got Her Groove Back.” Her decision to no longer revisit the past and take responsibility for her behavior and ask for help allowed her to embark on a journey of self-awareness that completely altered her life. Elisabetta’s reflections on this journey, and why becoming self-aware is so important, will remind you that there is so much joy and strength that comes from knowing who you are, where you’ve been, and where you’re going. With a willingness, commitment, and courage, Elisabetta was able to transform the negative experiences she suffered as a young woman into something joyful. Her reflections on how these experiences mad her wiser and gave her a sense of strength she didn’t know she had will remind you that every experience in our lives serve a purpose. It’s this strength and wisdom that Elisabetta now shares with her clients all around the world. Elisabetta’s reflections on her journey of transformation and its impact, is a beautiful reminder that despite the ups and downs, we are all here to remember the joy in the journey. Today, Elisabetta lives in Barcelona and works with clients all over the world and her life is full of joy - the kind where she wakes up in the morning and feels happy and inspired no matter what is going on around her. When Samantha was in school she thought she knew what she wanted to do with her life, and like so many of us things changed. She went from wanting to be a librarian or a veterinarian, to not knowing her path at all. Her story is one of being lost and not knowing what she wanted to do, but ultimately finding something that she loved. It was in those moments of feeling lost that Samantha realized she wanted to do something meaningful with her life that would positively impact other people. To figure out her next steps, she decided that she would go and try something new. As Samantha shares, there’s so much out there to try, explore, and experience and it’s up to us to put ourselves out there to discover what lights us up. Her words on putting yourself out there in a new and different way, and remembering that there isn’t really a time limit on your growth, exploration, and path, will remind you that life is meant to be a journey. Even more than that, her reflections on the fact that life often takes twists and turns, and that nothing is really impossible, just difficult, will remind you that there will always be lessons learned along the way. Even in those moments when you feel like you can’t do something, you can push yourself beyond what you think is possible. At the end of the day, it’s up to us to choose the experiences that will allow us to learn those lessons, in our own time. Through her journey Samantha found something that she loves, psychology. Over time it changed her relationship with herself, and her studies have helped her realize what she truly wants to do with her life. She’s also an avid and talented illustrator and writer, and she’s being writing short stories since she was a kid. She’s passionate about helping others and expressing her creativity through her hobbies, and her passion will undoubtedly remind you of yours too. You’ll hear it in this week’s episode, Samantha is well on her way to being someone that other people can talk to when they need it most because for her, the ability to help others is what truly brings her joy. THE POWER OF STORYTELLING: To learn more and to submit your story, visit the Share Your Story section of our website and fill out our interest form here. If you'd like to join in on the fun, fill out our interest form. MERCH: Did you hear? We launched #SeekTheJoy merch! (cue internal screaming!!!) Yup, Seek The Joy bracelets are here and I am SO EXCITED. Check them out here - I can't wait to see you guys rockin your bracelet! JOY CORNER: A new interview-style blog series spotlighting inspiring souls, moments that bring you joy, products we love, and so much more. Join our corner of the internet - share your joys, passions, and moments of inspiration. Ready to share your light, magic and joy? Get in touch here - a new post in this series goes live on our site every Thursday.